Herbology at Hogwarts was always a class that I found interesting. Maybe it’s just the gardener in me, but I could care less for classes like Potions, especially when there’s a professor such as Snape at the head of the class. Plus without Herbology, classes like Potions couldn’t exist anyways – and I know there are a few people who may still be petrified if it weren’t for the Mandrakes grown in Hogwart’s greenhouses. What may be lesser known about Hogwarts is that it is completely self sustaining, not just by magic and House Elves, but most of the food comes from gardens located outside of the grounds. I’d like to image Dobby and Winky spent some time in those gardens gathering fresh veggies and herbs as Dobby cheerfully chattered away about being a free elf. While us Muggles may not have access to all of the fresh baked goodies that Hogwarts had to offer, a trip to my local grocery store did the trick when it came to picking up some simple ingredients to get the ball rolling on this magical recipe. When it came to deciding what magical food I wanted to conjure for my Harry Potter themed week, I wanted to use up some of the veggies I had grown from seed in my own garden. I plucked a few tomatoes and cucumbers from my garden using accio on the hard to reach veggies. 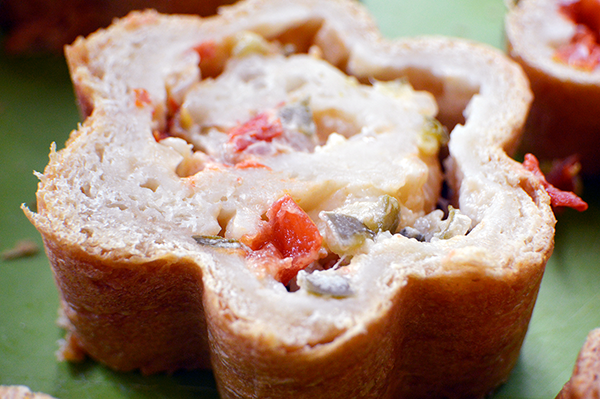 Another magical aspect to these bread bites is they are cooked in a bread tube – which means that the bread will come out in whatever shape your bread tube might be in. I recently was gifted a bread tube, from a retired Pampered Chef collection, and I knew it would be perfect with it’s floral shape to create some good looking Herbology bites. 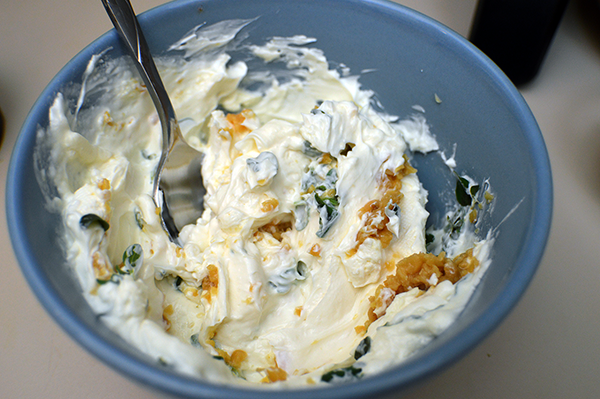 Start by mixing together the cream cheese, thyme, and garlic. 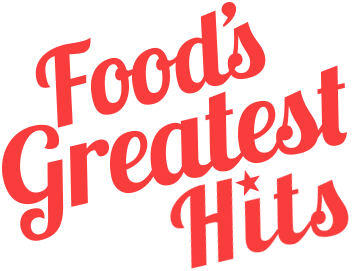 Pop it in the refrigerator while you prep the rest of the ingredients. 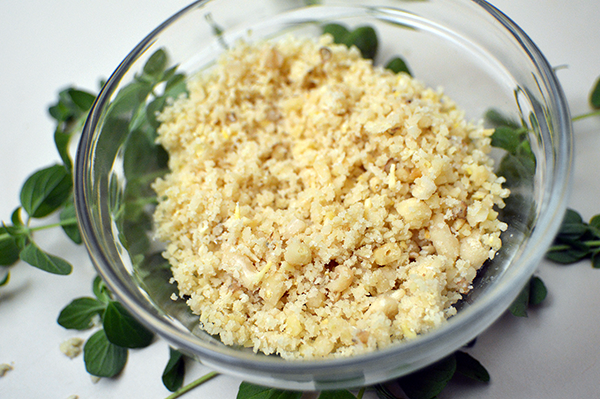 Give the pine nuts a quick pulse through a food processor. This was the first tomato I grew in my very own balcony container garden, turned out beautifully, if I do say so myself. Chop up the rest of the veggies then spread a couple tablespoons of the prepared cream cheese onto the unrolled pizza dough. Don't spread it too thick, or too warm, or else the dough will be VERY hard to work with. Everything in the recipe is best served like Voldemort's heart....COLD. 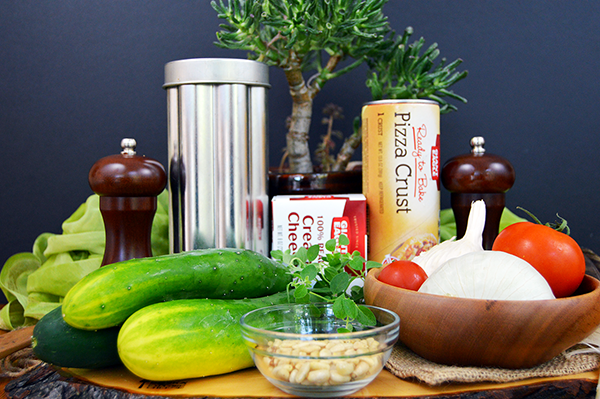 Cover the cream cheese with the chopped pine nuts, fresh veggies and herbs of your choice – choose whatever was in picking distance, but feel free to add zucchini, peppers, or any other of your favorite, chop-able veggies. 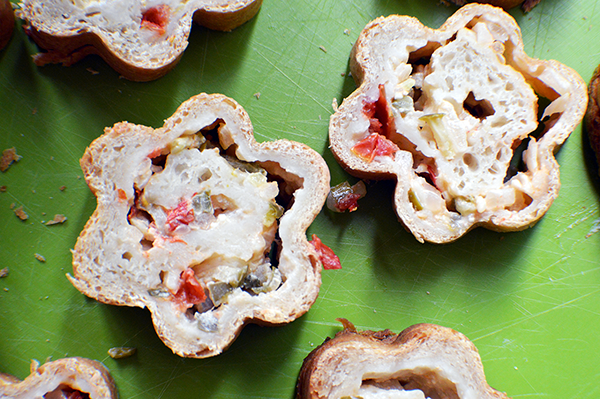 The hardest part of this recipe is the rolling of the dough and inserting it into the bread tube without messing everything up. I definitely didn’t get mine on the first go, but fortunately I had an extra roll of pizza dough so I was able to quickly throw the dish together again. I recommend using something to support the rolled dough, like a flimsy cutting board as you gently slide it into the greased bread tube. Also, a second set of hands, or magic, would help during this step. 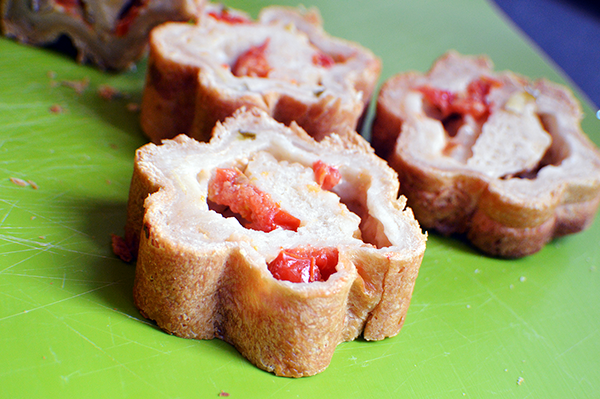 Once you have successfully gotten the rolled dough into the tube, stick it into the oven standing upright. Cooking it laying down might force the bread out either end. The top might pop off as you cook, but that’s not a huge deal as long as the bread itself doesn’t start spilling out the top too! 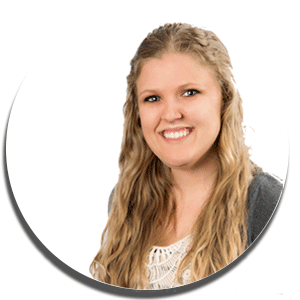 You’ll want to make sure that the bread is cooked all the way through before attempting to remove it from the bread tube, otherwise you may end up with undercooked, doughy bread bites. Mine ended up taking about 50 minutes too cook thoroughly. And I also recommend letting it cool for a few minutes in the bread tube before trying to remove it – though don’t leave it in with the caps on for too long, otherwise the bread will start to steam and you’ll end up with soggy cooked bread. 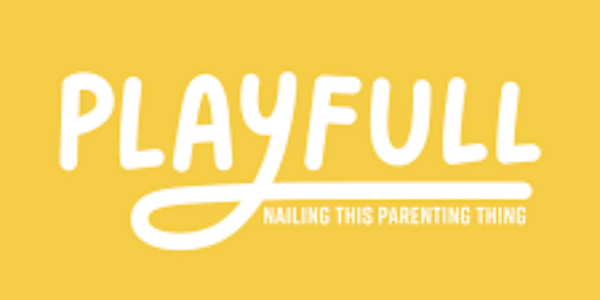 Let the roll cool completely before you attempt to cut it, otherwise you might just end up destroying all of your hard work! And since this is real life and not Hogwarts, there’s no magic to fix the bread once it’s been cooked. 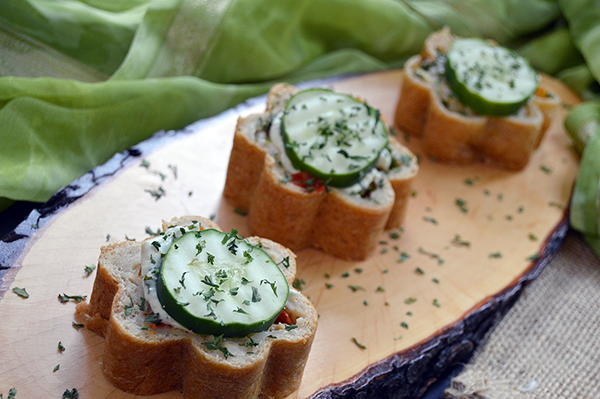 Use the remaining herb and garlic cream cheese to spread across the tops of each bread bite, then adorn with a slice of fresh cucumber! Preheat the oven to 375°F. 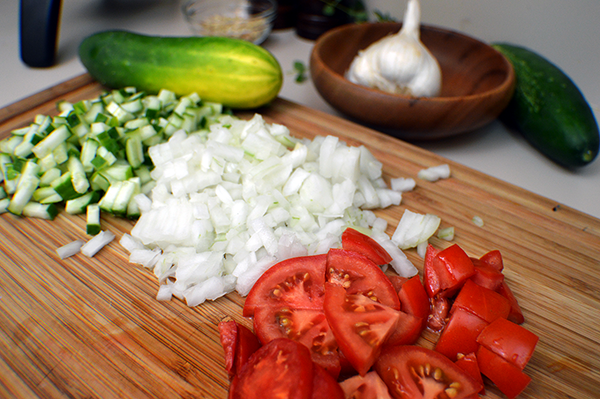 Chop the onions and cucumber, slice the tomatoes, and mince the garlic. Combine the minced garlic and fresh thyme with the cream cheese and refrigerate until ready to use. Unroll the pizza dough onto a smooth surface, preferably a surface that can be lifted and bent (such as a flimsy cutting board). 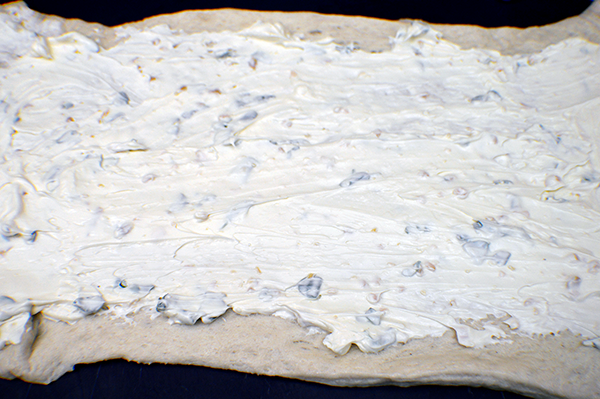 Spread 2-3 tablespoons of the garlic herb cream cheese onto the dough. Leave about 2 inches of dough around all sides. 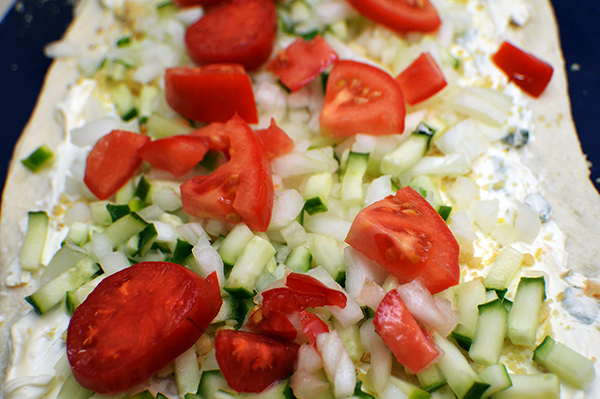 Top the dough with the pine nuts and veggies. 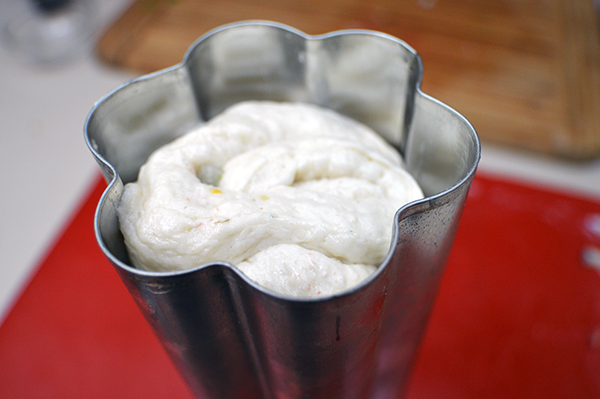 Starting with the short end of the pizza dough, slowly tuck and roll the dough into a spiral. Grease the bread tube. 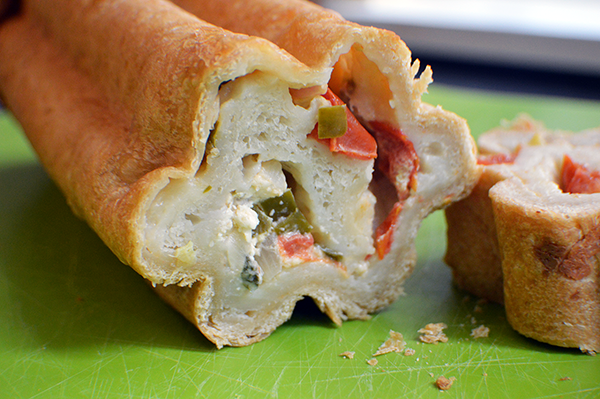 Use a 45° angle to gently slide the rolled dough from the cutting board into the tube. Cap both ends. 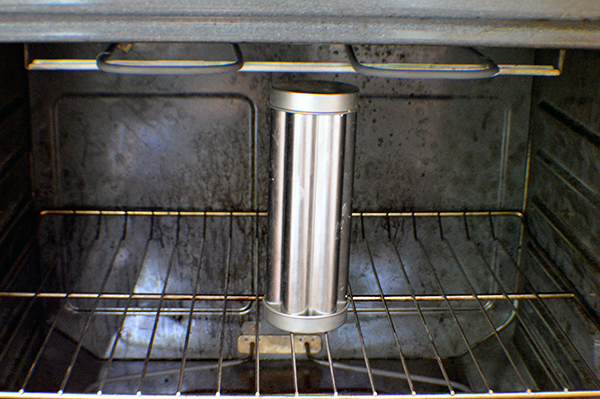 Place the tube upright in the oven (you may need to remove a rack to do this) and bake for 50 minutes to an hour. The ends of the bread will be golden brown when cooked through. 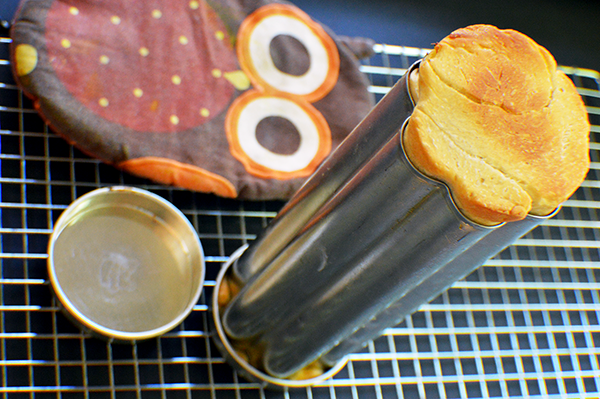 Let the bread tube cool for 10-15 minutes before removing the caps and gently pressing the bread out onto a cooling rack. Let the bread cool completely before attempting to slice! 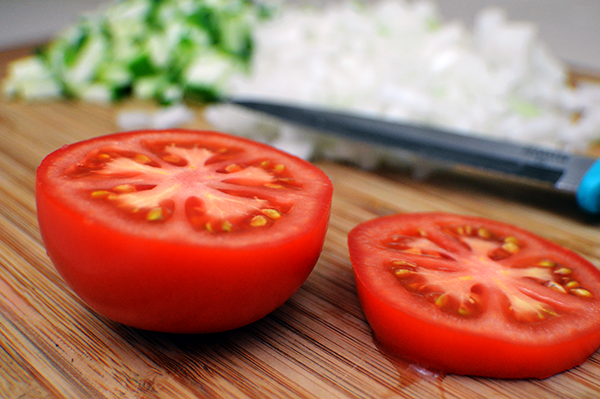 Cut into ½ to 1 inch thick slices. Top with tablespoons of the remaining garlic and herb cream cheese. Press a fresh cucumber slice onto the top. Serve with a feast worthy of Hogwarts, and enjoy! A classic House Elf bowl of French Onion Soup... for Muggleborns. Harry Potter's birthday is quickly approaching! Celebrate with some book inspired cakes.